JOHANNE DE SABATO, son of a wealthy Portuguese nobleman, celebrates his eighteenth birthday amidst luxury and entitlement. He dreams of gaining riches and high position in the king's court, just like his father. His younger brother, Osvaldo, who's been a thorn in his side ever since he can remember, mocks his aspirations and demeans his pursuits. Johanne is determined to rise in the ranks of nobility, maintaining a close relationship with the crown prince and reaching for opportunity high in the court. He is driven to prove himself as the better son. But life takes a turn. At the end of his birthday celebration, Johanne's parents reveal a staggering secret- they are crypto-Jews! Johanne fiercely rejects his Jewish heritage, afraid it will destroy his life's plan. But his close relationship with the crown prince propels him to investigate a handful of men suspected of secret religious practices. Despite his determination to maintain his distance, he becomes entangled with his fellow Jews, causing his world to change in ways he could never have imagined. 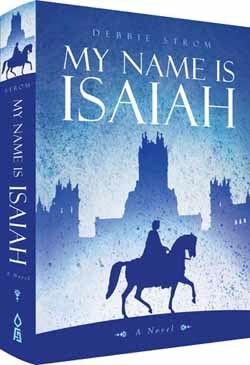 History comes alive in this thrilling cloak-and-dagger adventure set in the age of the Portuguese Inquisition.